The integration of CAKE Point of Sale and CAKE Guest Management allows you to sync to your front of house system in real time to help you turn tables faster. Connect with us to ask questions or schedule a demo, or contact sales now by calling 855.696.CAKE ext 2. 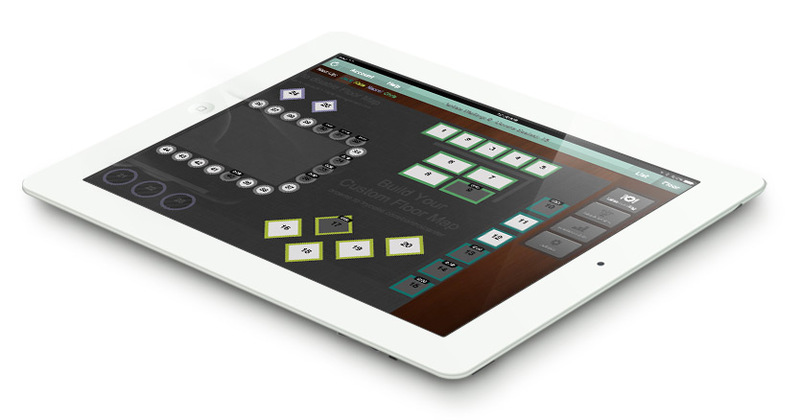 Integrate CAKE Guest Manager & CAKE Point of Sale to help your dining room run smoother. 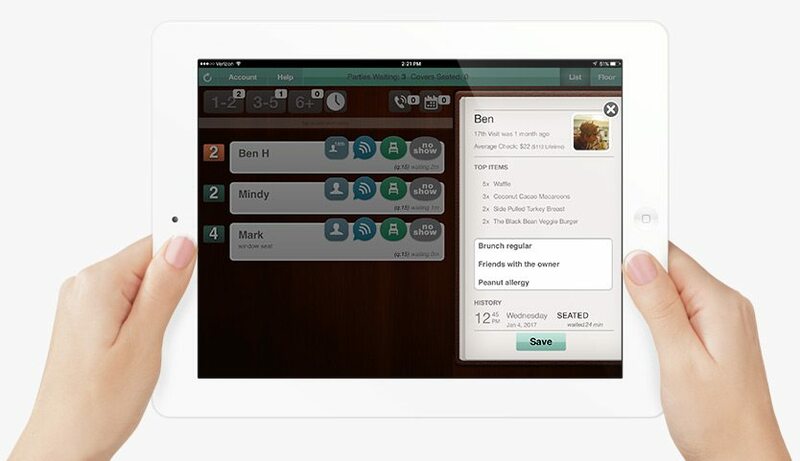 Automatic table status updates on Guest Manager just by using your Point of Sale like normal. Detailed guest profiles are made available to your staff on the floor. Top ordered items, visit history, and average spend are captured by your CAKE POS and displayed inline for all returning guests on the CAKE Guest Manager waitlist. Greet them by name, recommend their favorites and thank them personally for their loyalty. Using CAKE Guest Manager in conjunction with the CAKE Point of Sale lets you make sure everyone on your team, from waiter to hostess to bus boy, are all on the same page. A smooth and efficient service can transform a regular dining experience into something extraordinary and turn casual customers into habitual ones. Cloud Point of Sale solution built to make running your restaurant easier. CAKE makes it easy with features built to simplify your restaurant. Robust hardware built specifically for the rough restaurant environment. Take orders and send them directly to the kitchen on our iPad based OrderPad. "For me the greatest benefits of CAKE are ease of use, price, and the ability to access it from anywhere in the world." "Since we’ve implemented CAKE, we’ve increased our sales by as much as 10%. Part of me was like, ‘why didn’t I embrace this earlier?’ But thank God I did, and I’m glad I did it now." "Our restaurant was losing up to $4,000 per year but with the help of Cake & Sysco, we’re now profitable!" Our team of experts guide you through our products to find the right solutions for your restaurant.